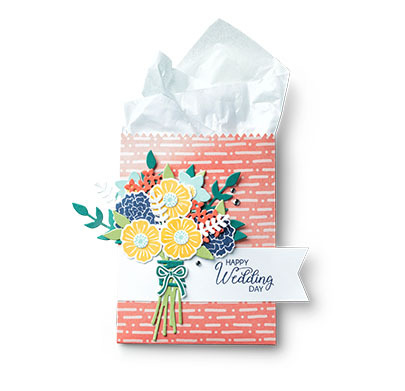 I know you just received your Occasions and Sale-a-bration catalogs however we still have some great stamp sets and accessories in our Annual catalog, so today I want to share with you a cute project that is on my website’s Idea Page!! Bundle and save! Buy these two coordinating products and save 10%. When Stampin’ Up! names a stamp set “Beautiful Bouquet,” you’d better believe they mean it! 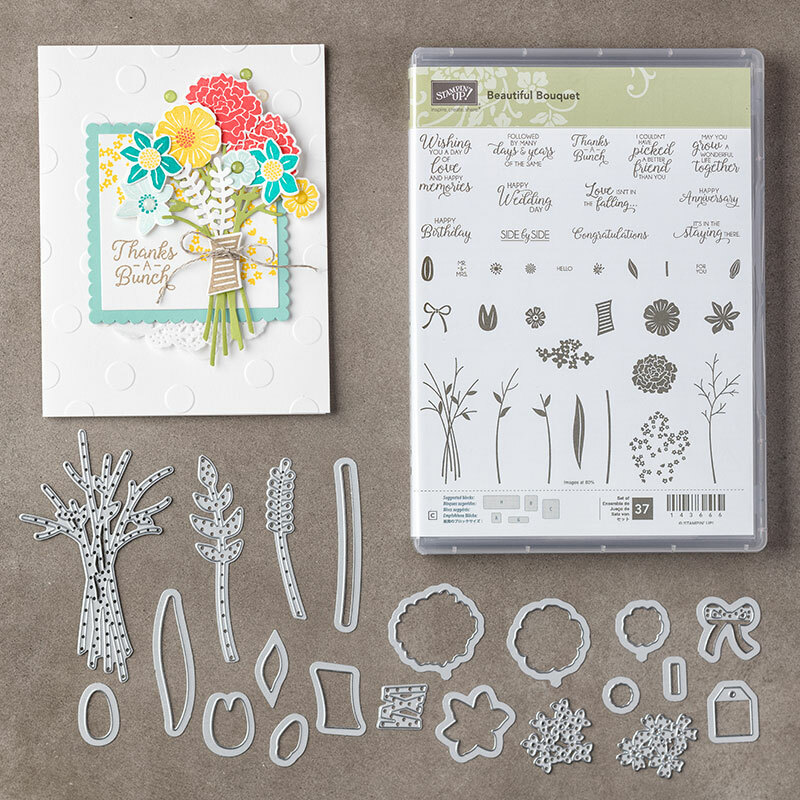 With sentiments for any occasion and countless ways to combine the floral images, this set will help you create beautiful bouquets that live on forever. I love going through the new catalogs, so many great items and ideas but lets not forget how awesome our annual catalog is too. I will try to incorporate some of the past goodies with the awesome new stuff … can’t go wrong creating with that plan! I thank you for dropping in on me today to check out my blog. I’ll be working on some new creations for you.